Wow. Three posts up in a single week. I'm on a roll! 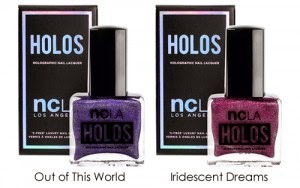 Today I have two brand new holos from NCLA. Both have a smooth, creamy formula and covered easily in two coats. 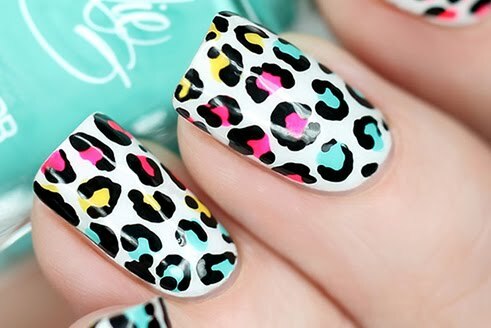 First I'll show you the swatches and then some easy nail art. My swatches are two coats of polish and one coat of NCLA Gloss It! all-in-one base and top coat. 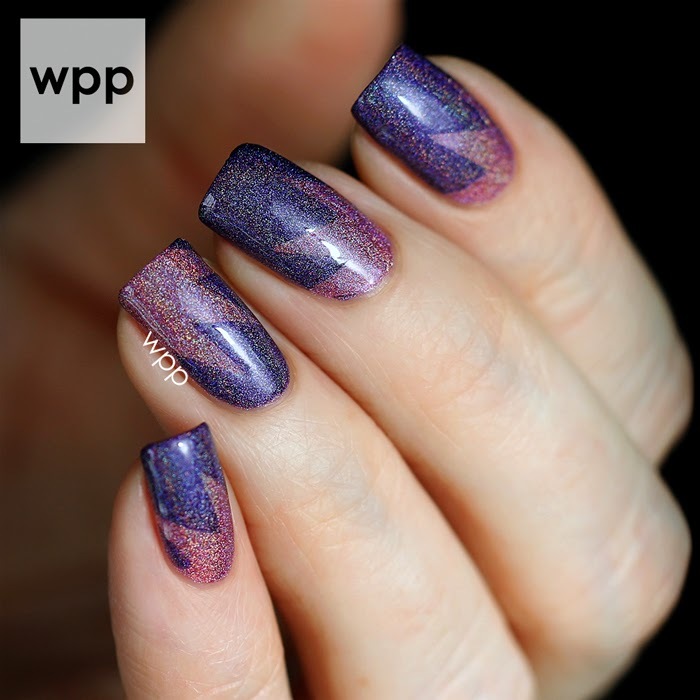 Out of This World is a medium purple scattered holo. I love both of the new shades, but this is definitely my fave of the two. The holo effect is strong, even in low light. Iridescent Dreams is a rosy pink scattered holo. The shade is much softer than it appears in the NCLA bottle shot at the end of the post. The holo effect is strong, yet the shade is soft and pretty...perfect as we move into Spring. I created a simple tape mani using both shades. 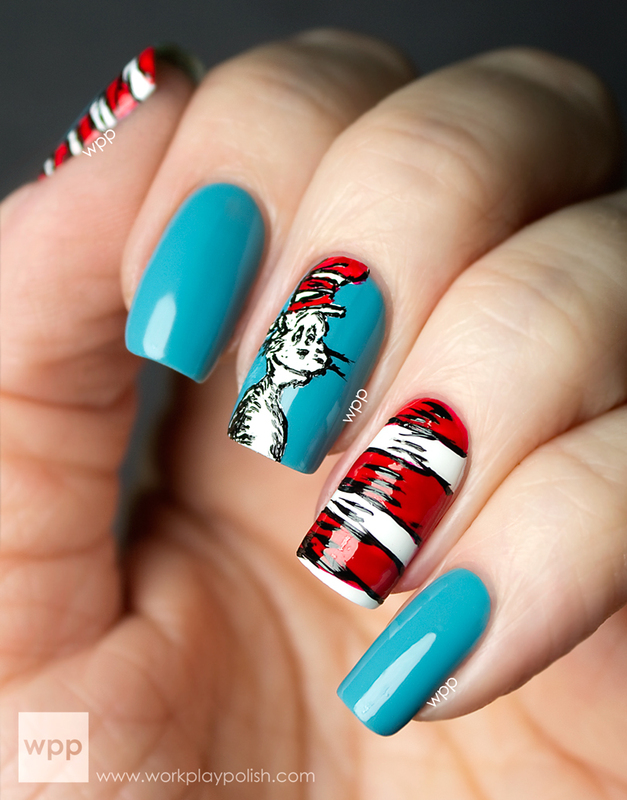 Nail art doesn't get any easier than this! I placed starburst nail vinyls (NailVinyls, $6) over an Iridescent Dreams base and polished Out of This World over top. These colors are great together. I only wish I'd gone back with black and defined the separation between the two shades to make the design pop. Out of This World and Iridescent Dreams are available now for $16USD each. Be sure to check out all the new goodies at www.shopncla.com and follow NCLA on facebook, twitter and instagram!